Plans by Gov. 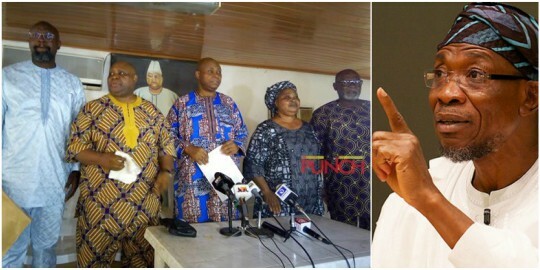 Aregbesola of Osun State, to investigate further the cause of the death Davido's uncle and a serving Senator of the Federal Republic of Nigeria, Senator Isiaka Adeleke, has been rejected by the Adeleke family. The immediate younger brother of the deceased, Deji Adeleke, who read the family’s address at a press briefing in his residence in Ede on Sunday, said the outcome of the inquest had been predetermined. We condemn in strictest terms the continuous politicization attempts by the state of this great loss to our family, particularly the ordering of this inquest at a time we are still coming to terms with the harsh reality of his sudden departure and the pain and grief therefrom.